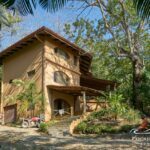 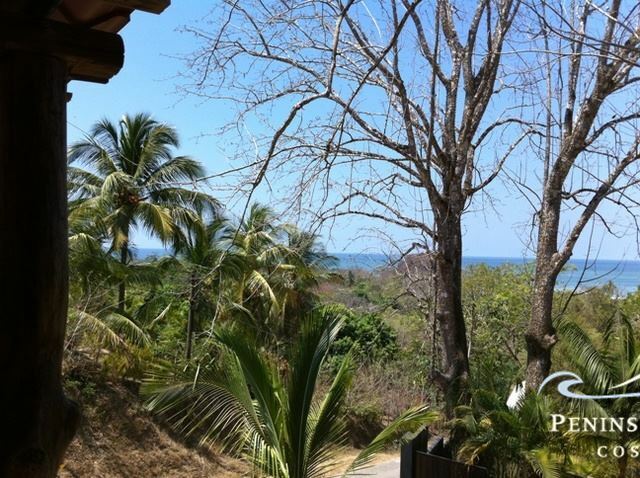 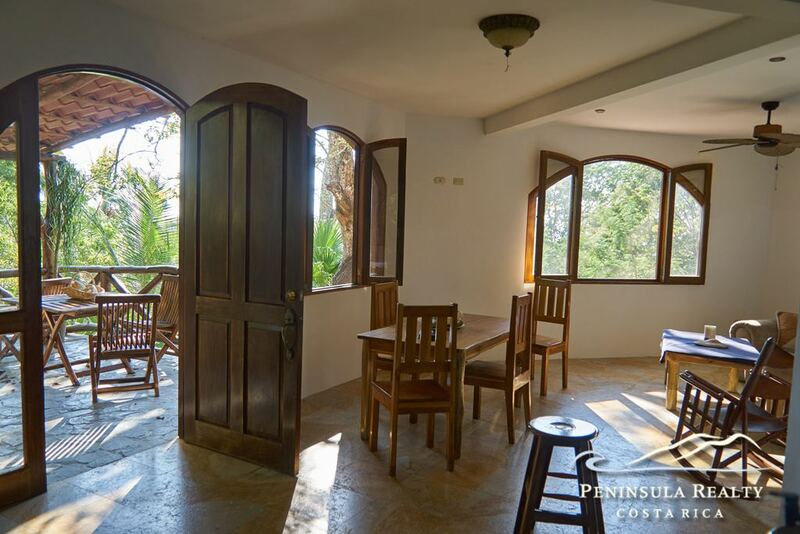 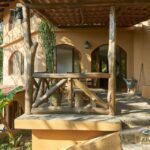 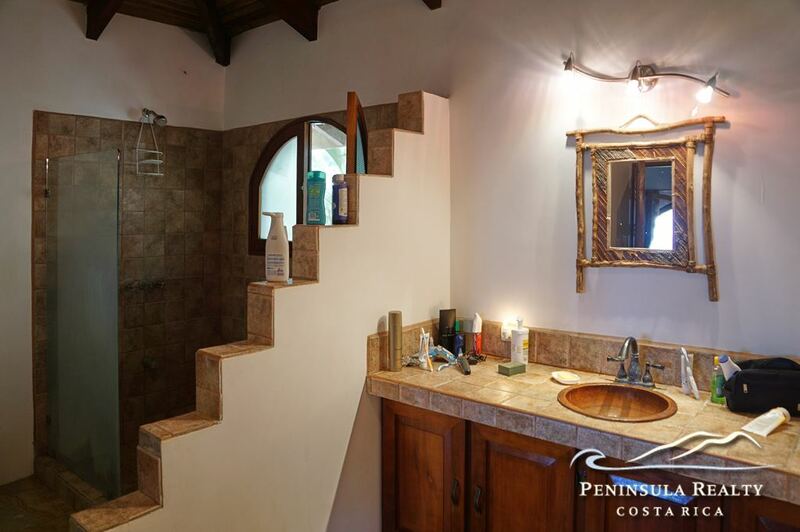 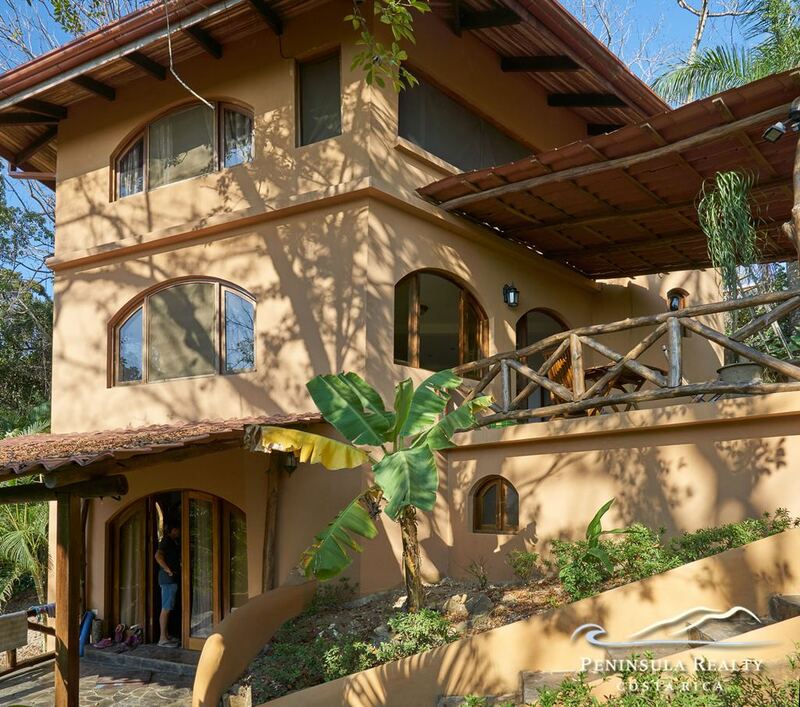 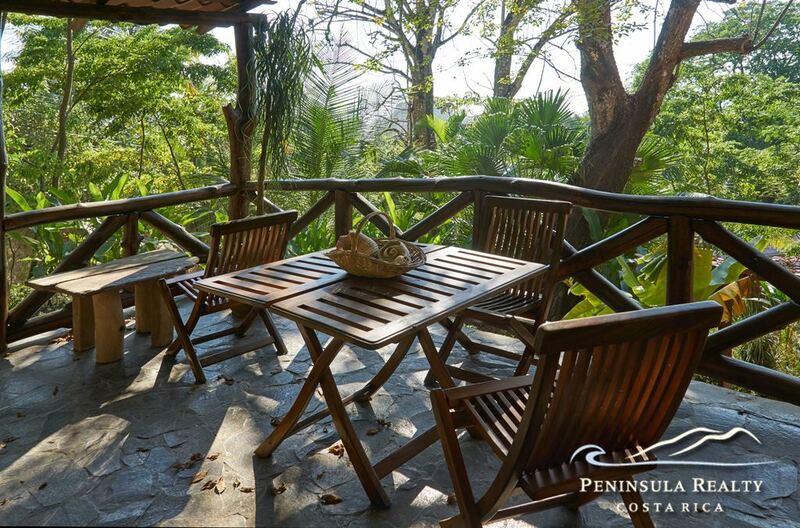 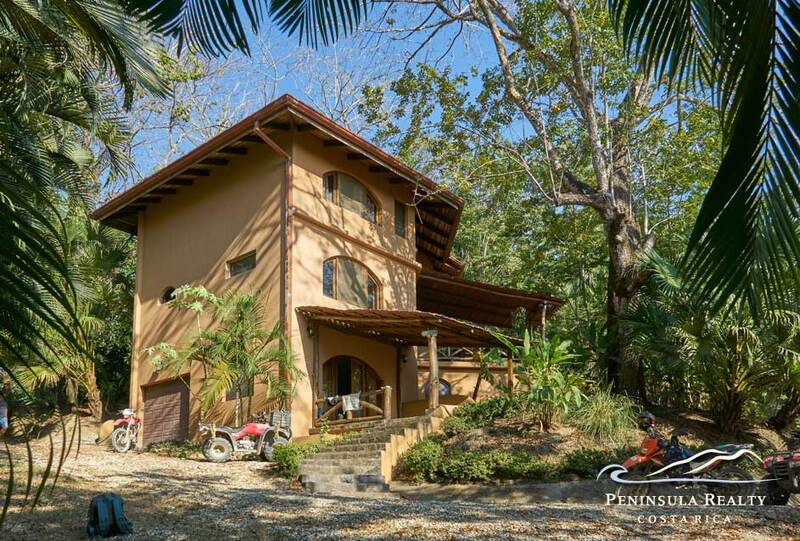 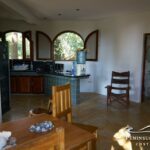 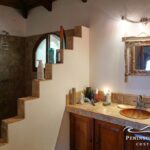 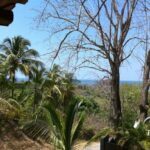 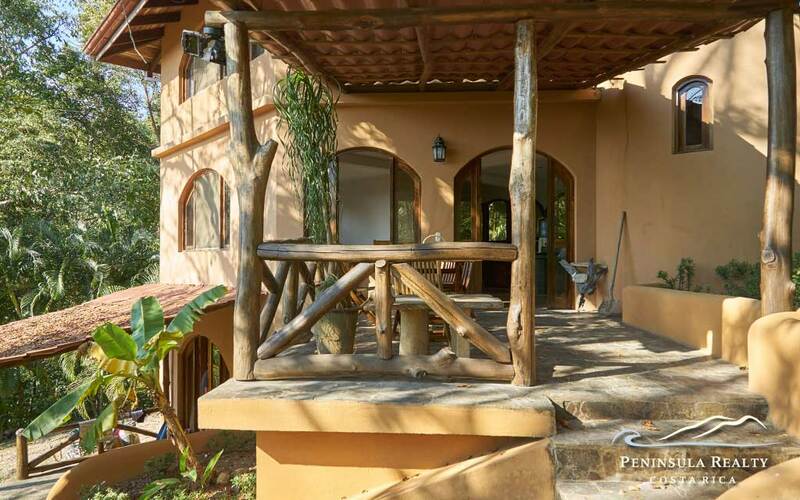 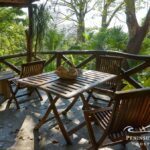 A lovely 3-story house with partial ocean views close by the beach of Mal Pais. 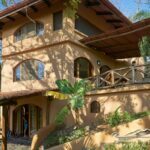 The house is built to highest standards and contains a 2-bedroom apartment on the second and third floor. 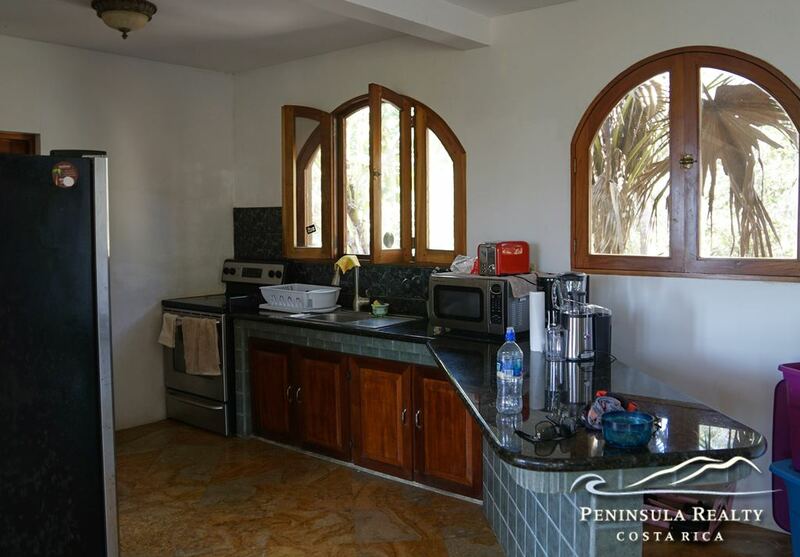 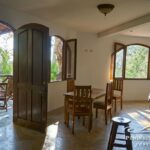 It offers a kitchen and living area opening to the veranda, 2 bathrooms, and laundry room. 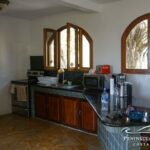 A separate studio apartment with kitchenette, bath and front porch, is on the first floor. 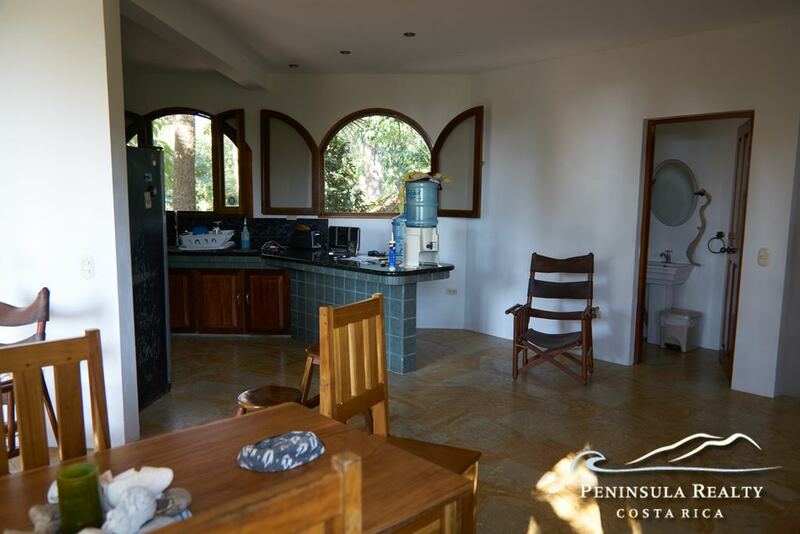 The property has a large parking area and garden which offers plenty of space to build a pool.